Irons are necessary appliances bound to be at home especially if you have school going kids at home and need to iron school uniform every day, the same goes for all working households who can’t afford to go to the laundry every other day. Having an iron in your house always proves to be handy. We have brought down the list of best irons for clothes in this post which you can purchase online in India. Keep the following things in mind before purchasing an iron. The price is always an important factor before purchasing any appliance. It is usually desired that the product is cost effective and budget friendly which means affordable. The price range for iron is from 500 to 2000 depending upon functions and specifications. Sometimes it is easy to choose the appliance by just looking at the brand as there are certain brands which have gained a great reputation in the market and usually protects the product by after sales services. Brands like Philips, Morphy Richards have introduced many models and can be trusted with closed eyes, on the other hand, certain brands which are not well known offering low price but the quality might be poor. There should be proper research before making this decision. The appliances in the households are usually used by all the members of the family and hence should be user-friendly and not involve complicated procedures for handling. User-friendly appliances usually run for a long time as there are no handling damages. Irons are usually light weighed and small in size however few specific dry irons might be heavy but have specific requirements like ironing heavy blazers and need to be huge. The size of the irons is usually generic. 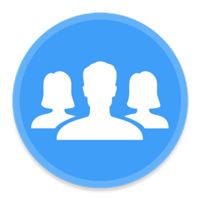 This is one of the most important factor desired in any product before purchasing it. The quality should always be given importance and never compromised as durability is something needed in all appliance as after-all it is purchased by your hard earned money. 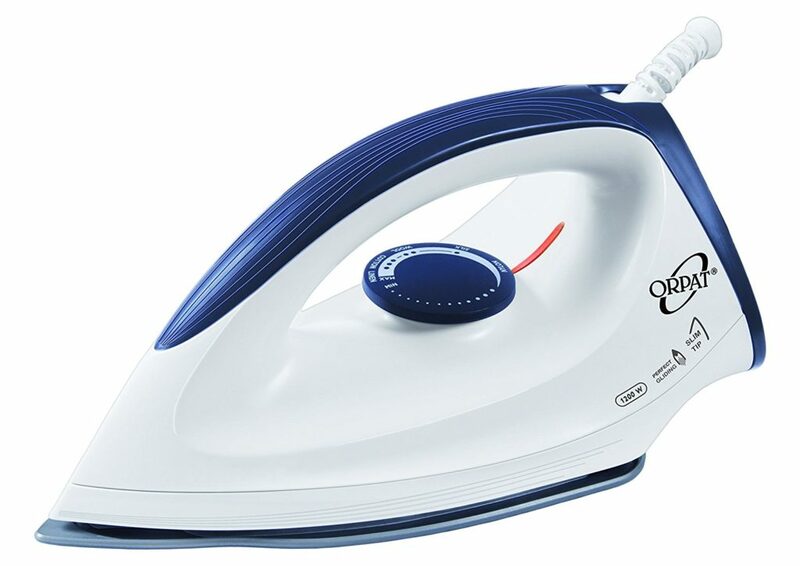 The Orpat OEI 187 1200-Watt Dry Iron (White and Blue) is a very basic Iron including all desired properties in it. There are temperature settings from low to high and also includes an auto on/off feature which turns off when heated. This is the best selling Iron in this category and at a very affordable rate. 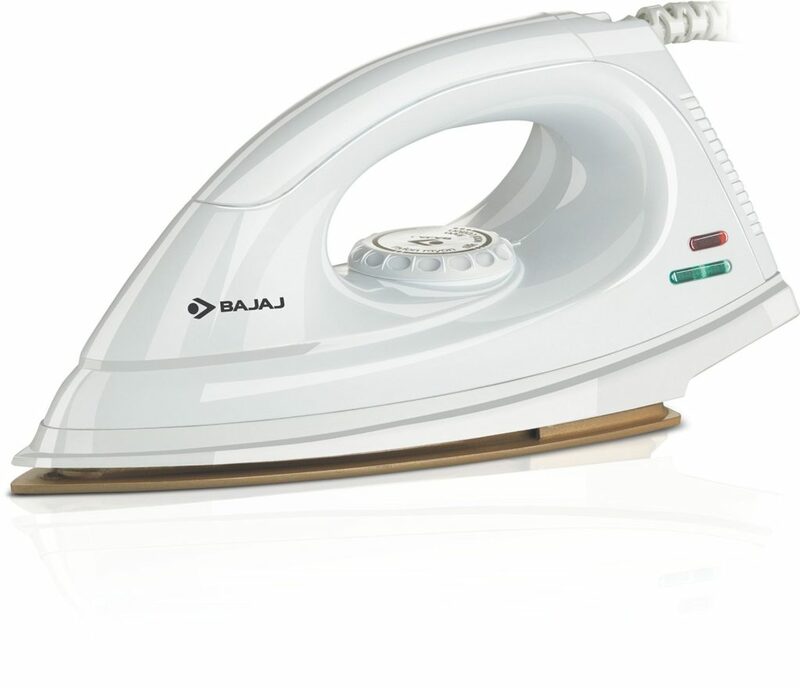 Bajaj DX 7 1000-Watt Dry Iron is the best selling iron at an affordable rate and is manufactured by the reputed brand Bajaj and the best part is that the product quality is perfect and the plastic material is of high quality and has a very smart look. 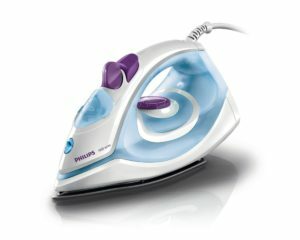 Philips GC1905 1440-Watt Steam Iron with Spray is a perfect Iron to be used in household and can be even used by children for ironing their uniforms. It comes with an added spray functionality required for proper ironing and that perfect crease free look in the clothes coming from the laundry. It is recommended for daily usage. 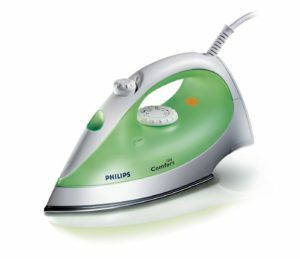 Philips GC1010 1200-Watt Comfort Steam Spray is a home iron with all basic modes of heating required for various materials of clothes. They are available in attractive colors and hence are preferred by the users all across the country. It is one of the best selling iron and highly recommendable. 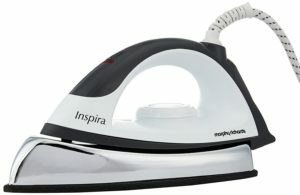 Morphy Richards Inspira 1000-Watt Dry Iron (White and Black) is a basic iron with all requirements included within. This is the most elegant one in this list and we just love its design. Being a reputed brand it comes with two years warranty and ensures the after-sales services. This appliance not only looks great but proves useful in the long run and is durable. It is recommended for all kinds of usage. I hope you found this article helpful. 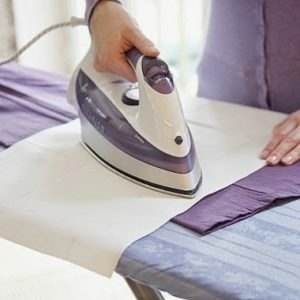 The guide at the beginning of the article and the list of top irons for clothes will surely help you find the best iron for your ironing needs.